A light theme based on Material Design Guidelines. Cinnamon, Metacity, GTK2, GTK3.18, & GTK3.22 themes are included. A light theme based on Material Design Guidelines. Cinnamon, Metacity, GTK2, GTK3.18 and GTK3.22+ themes are included. This is a build of Tista's Adapta theme made for Cinnamon Spices. This build is based on Adapta version 3.95.0.11 with the following modifications. GTK3.18 & 3.22 - Cleaned out irrelevant third party styling related to non-Cinnamon desktop enviroments. GTK 3.22 - Add a minimum height to headerbars. There are 4 variants of this theme available. Install via Cinnamon's Themes module in Cinnamon settings or download from Cinnamon Spices and unzip into your ~/.themes directory. Select the theme as your Desktop, Controls and Window Borders in the Cinnamon Themes module. To allow the GTK2, GTK3 and Metacity1 themes to apply to GUI apps running as root run this command in your terminal after installation to create symlinks to user themes in the system theme directory. If you have problems seeing text on input fields in Firefox with any particular theme this problem can be solved by adding a ~/.mozilla/firefox/********.default/user.js file to your Firefox default profile including the line user_pref("widget.content.gtk-theme-override", "Adwaita"); and restarting Firefox. This forces Firefox to use the GTK default Adwaita theme for rendering all website content. The theme includes a helper script that creates the file with this content in the correct location. To access the tool open a terminal window and use the following command to make the script executable and launch it. I've installed Adapta via Cinnamon, and it had only one - light as against dark - 'controls' theme. I am on Mint 19.1. I'm not quite sure what you mean? This theme Adapta is the light version. Adapta-Nokto is the dark version and is a separate download via the Cinnamon themes module. I don't know why but using the GTK3 theme causes a white flickering at each startup (just after the startup animation) in Linux Mint 18.3 and Linux Mint 19. 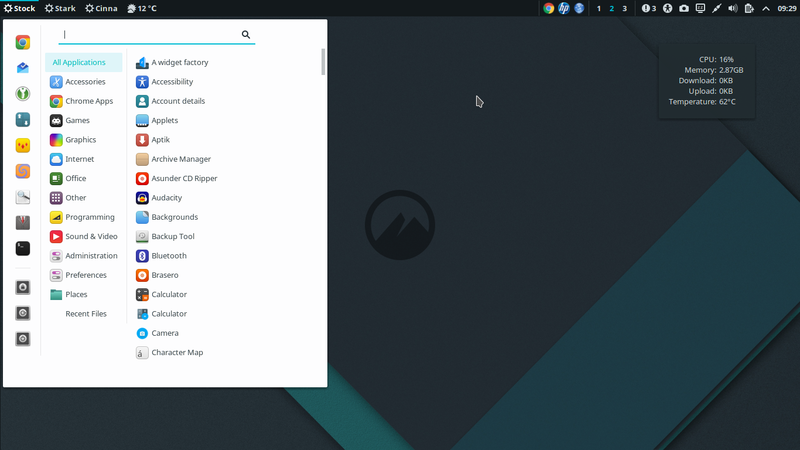 I have not seen this with any other GTK theme. Hi Janne-d-Arc, Never noticed that before, but I do see it now (and a dark flash with the Nokto variant) on Mint 19. I've just tested the current upstream version and it does the same, and as you say this isn't apparent with other GTK themes. I'll see if I can work out what causes it. Thank you! Do you think I should report it as a Cinnamon bug too?